Guys Please do not buy S660, i has lot of problems and my phone within warranty period had Motherboard problem, after rectifying that camera was not working, after which Flash was not working, all this took 36 days and still they have not resolved my issue. Anonymous, 25 May 2015Thanks for that review. 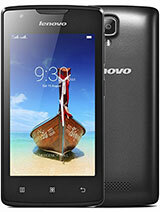 I am an owner of the lenovo S660 and the major issue which i face i... moreWell it depends on the games you play. When did the lag start? I mean after installing which game? vicky, 25 May 2015It fell down two times and both SIM CARD is not working...plz help me.......... Vicky,try removing both your sim cards and inserting them back again. It may not work at once, keep trying for a day atleast,patience is important. If it still doesnt work you'l have to take it to the service center coz dropping your phone may cause internal damage to your phone. Lenovo_lover, 22 May 2015 Hey guys,ive posted earlier on this site and after a lot of experimentation for the past 8 ... moreThanks for that review. I am an owner of the lenovo S660 and the major issue which i face is while playing games the phone lags once in a while. Can u please help me out ?? Anonymous, 23 May 2015my s660 fell down and is rebooting itself after its left idle for few mins , will a factory re... moreYes it will..but before jumping to reset wait for sometime,maybe an entire night,just to see of it gets okay. If it doesnt,then reset. 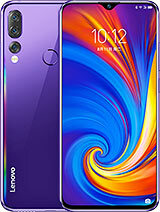 Lenovo_lover, 22 May 2015 Hey guys,ive posted earlier on this site and after a lot of experimentation for the past 8 ... moremy s660 fell down and is rebooting itself after its left idle for few mins , will a factory reset help ? 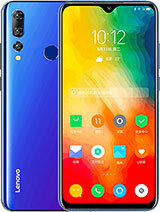 Hey guys,ive posted earlier on this site and after a lot of experimentation for the past 8 months,ive come to certain conclusions about the Lenovo S660.I will also post some tricks i figured out that will surely help.Furthermore,it will also save you a trip to the service center if your problem is minimal. First off,the specs : Dont expect a lot from this phone when you buy it,coz lets face it,even though it has 1gb RAM and runs on a 1.3gHz quadcore processor,the chipset is not snapdragon,which is a pity. The rear cam is quite good with 8mp cam capable of HD video recording as well. To get the best pics out of your cam,you need to know a trick. Thos things will prove that you have succesfully updated your phone. Now perform this trick to help you perform another trick in the future. In version infos keep tapping at "Build Number" until it shows :You are now a developer". Now leave this,il tell you what to do after some time. Now in order to update your phone properly,either use a 3g connection or a wifi(only if net is consistent and does not break off). I used 3g and it went well. Keypoint is your net should not get cut off at any cost. The true power of a 3000Mah battery which will help you last out a day easily even while using facebook and whatsapp on 3g,a better interface than jellybean,a better dialer screen and an app called "one key lock" which when combined with lenovo's gesture feature, helps you to lock your phone without using the lock button. Now remember what i said about tapping the biul number option?If not scroll up read again. Now once you see "You are a developer" a new option opens up in your settings called "Developer Options". Open that and theres an option called "Select runtime" and in that by default it will be given as "Use dalvik". There will be another option called "Use ART". ART is another experimental runtime installed by google. When you select that,you will have to restart your phone and when it starts it will "Android is upgrading". Let it finish. So the good thing about using ART is that your phone's battery life improves again and take lesser time to charge as well. Thats what i could know,i just started using it yesterday so basically im still experimenting. From what i got from the net,there are chances of some apps crashing,however none of them have crashed for me yet. I'll give my list of apps at the end. HOW TO DO IT -- Go to settings--take backup and reset--take factory data reset--complete. Make sure your sd card and sim cards are removed or else numbers will be lost from your sim cards as well as the data from your sd card. Dont worry restting your phone wont downgrade it back to jelly bean. Don't worry you dont have to worry about going to the service center. All you need to do is reset your phone. Well how do you reset your phone if you cant unlock it? 3)Use your buttons to get to recovery and select it. 4)Your phone will start and an android pic will open showing "NO COMMAND"
5)Press your lock button and another options menu will appear. 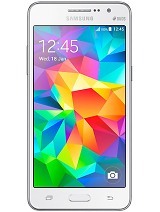 7)Then select reboot system and voila your phones is back to normal,you will lose all the data ofcourse. Make sure that your sim cards and sd card is removed. And next time don't forget your password(I did and now im scared of putting a lock,lol ). 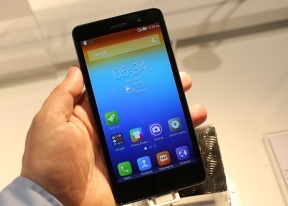 (C)Sometimes your phone may start and play that lenovo restarting clip over and over again instead of switching on. Use the above mentioned step to reset,which is the only option. (D)In the resetting options menu, theres an option called "wipe cache partition". Select that to clear all cache from your phone. Do it once a week to keep your phone working normally without lags. These are the problems that ive face with my lenovo for the past 8 months and believe me i got so fed up with going to the service center i sat up an entire night finding solutions for them. Now i dont have to go anywhere. Those interested in rooting your phone,heres a reminder,once you update to kitkat it becomes a huge trouble to root and chance of bricking is higher. When its jellybean its easy to root with SUperSU app and chance of bricking is less and all you need to do is download custom ROM's. But i dont exactly know the procedure coz bad thing is you lose your warranty. 5)All system apps as well. Iron man 3,bad land,temple run(all),subway surfers,sniper shooter,transformers,batman arkham asylum..these are ones ive tried and all worked well. 1)Don't recharge your phone unless its below 15% or else you could damage your battery. 2)Clear cache once a week and every 2 days open your file browser and clean trash as well. 3)Use your antivirus to block spam calls and scan your phone , but dont bother updating that app. 4)Try not to use use launchers and lockscreen apps coz it eats up your phone's RAM plus the battery life. If you want it really bad use apps like Apus launcher, Nova launcher and lockscreens like C lockscreen. 5)Do not use the camera in the sunlight, your battery will overheat and your phone will switch off on its own. 6)Use google drive effectively to back up your data. 7)Use sd cards of good companies like sandisk or sony. Otherwise it may overheat and your motherboard will have problems. 8)If by any chance you think your phone is overheating around the camera area take it to the service center at once. Over heating happens due to the motherboard's fault and therefore it must be changed at once. These are the problems ive faced and ive found solutions for all of them.If you've any doubts regarding this,just post it and il reply. If you are faced with a new problem which ive not mentioned,kindly share it.I hope this helps you guys. Do let me know if it was helpful. 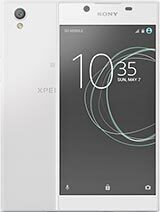 I have been using this phone for past one year, it has a good battery that lasts for a full day, has a good rear camera. 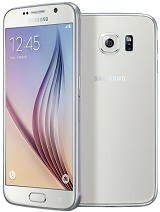 It has 8gb internal memory which is good. After android upgrade ur front camera won't work or will disappear. network disappears often and will have to restart to get signal. While making a call the screen goes dark and u have to turn on again to end call, it ll be more difficult if u have a screen lock. My screen got damaged and I thought of replacing it. 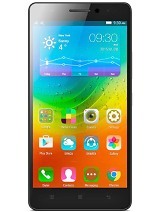 I was shocked to hear 8000rs for screen while i found a same new phone on amazon for 7000rs. I won't recommend this to even my enemy, coz of the worst service network. Everyone points someone else when contacted. my s660 fell down and is rebooting itself after its left idle for few mins , will a factory reset help ? 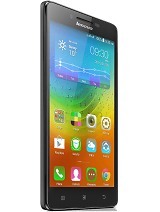 I am using a Lenovo S660 for the last 6 months.Now the screen is flickering and I'm not able to view the display. 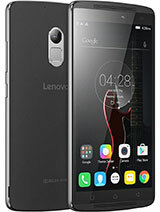 Don't think to buy this phone even you get in very low price I bought on 13k it is useless and specifications are damn worse than other phones which were launched recently around 7k I'm not happy there is no use believe me guys when after up grade to KitKat my mobile behaving worse and I try to upgrade lollypop there is no option lenovo developers please consider what we expecting from you its not about money its about reputation if u people matters only money then it no longer works if you raise the price there is no problem at all but give us a better service since I got this there is no satisfaction when I put pattern lock the touch behaving itself pressing automatically now I'm trying to sell this mobile and its worth only 2500 INR how fair is it? 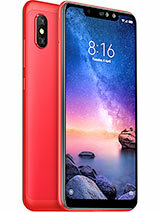 Other wise I have a better idea for this just put an exchange offer for lenovo users to get like LENOVO A 7000 series or any other mobile for reasonable price and hope you would consider my suggestion and as a lenovo customer this is the best I can give you.